Why Do We Stress Regular Check-ups? It is important to catch cavities and other issues early, so an appointment every six months is highly recommended. Dental insurance plans usually pay for the majority (if not all) of the cost of dental cleanings and check ups every six months. Check your plan, and take advantage of this benefit. This can really save a lot of money in the long run because you can avoid more costly dental procedures that can result from letting problems go untreated. Studies show good oral hygiene is important not only for your teeth, but also for your overall health. Poor oral hygiene can lead to dental issues, and sometimes very severe medical problems including heart disease, strokes and more. Regular professional cleanings and checkups can diagnose these problems early. When you have your cleaning, Aspen Creek Dental is also screening for oral cancer, which is highly curable if diagnosed early. According to The Oral Cancer Foundation, someone dies from oral cancer every hour of every day in the United States alone. Gum disease is an infection in the tissues, and one of the leading causes of adult tooth loss. If diagnosed during the early stages, it can be treated and reversed. Regular dental cleanings and checkups, daily flossing, and brushing are all ways to prevent gum disease. Our mouths are home to a wide variety of bacteria, some of which consume sugar and produce acid as a byproduct. That acid slowly wears away enamel, the tough, protective outer layer of your teeth. Once the enamel is sufficiently worn, the acid reaches the softer dentin layer below, eventually creating a cavity. Discoloration, over-sensitivity to heat, cold or sugar, and outright pain are the parade of symptoms of a cavity that is getting progressively worse. 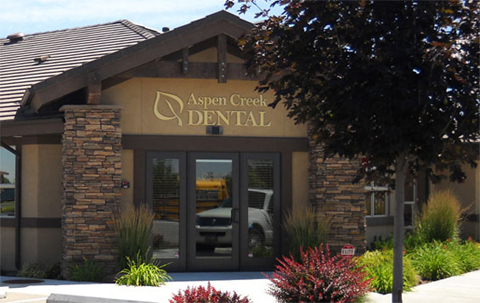 Aspen Creek Dentists and hygienists will be able to detect any early signs of problems with your teeth or gums visually and with scheduled x-rays. 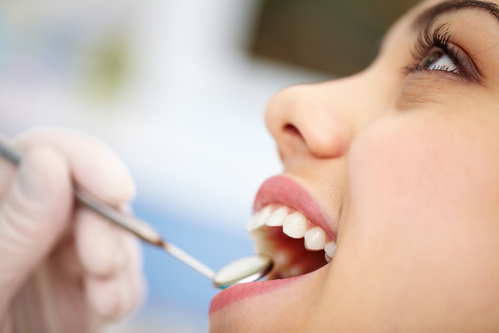 Early detection of cavities, broken fillings and gum disease are easily treatable. We also have many options to fix even the most severe cavities – and we will discuss all treatment options with you. The best way to deal with cavities is prevention, therefore it’s important to learn how to stop tooth decay with good oral hygiene.